LaLaurie was born on March 19th, 1787 in New Orleans and was married three times and had 5 kids. Bought land at 1140 Royal Street with her third husband and built a 2 story house (later added a third story). 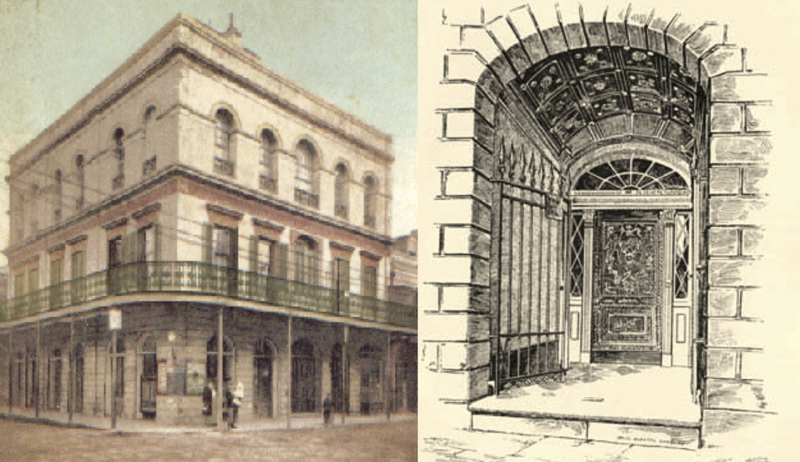 It was one of the tallest structures in the French Quarter and was valued at 33,000 in 1831 (around 900,000 today). LaLaurie’s crimes were discovered when a slave girl jumped from a window after being whipped for hitting a snarl in Lalaurie’s hair. She nearly landed on a passerby and he reported it. LaLaurie was fined 300$ for this and had some of her slaves taken away (but her family just bought them back). Her actions were completely exposed when a slave who was chained to the stove in the kitchen started a fire. This fire exposed LaLaurie’s actions and torture. Authorities checked her attic and found numerous slaves who had been tortured and mutilated. Some of the more gruesome details may have been exaggerated over time but she did horribly mistreat her slaves. Her husband knew about this, though he died before the fire. After being discovered LaLaurie fled to Paris and possibly faked her death. She never seemed to understand why she had to flee. Her actions may have been related to the fear that came from the Haitian revolution, which took place from 1791 to 1803. Slaves rose up and overthrew French rule for a period of time, which brought fear to many slave owners in America that the same thing may happen. Another event around this time was the New Orleans Slave Revolt of 1811. A group of slaves lead nearly 500 men in revolt and the US Military was sent in to stop the slaves. The slaves were killed and tortured for punishment.